Автор: Holzberg Barbel, Bantle Frank, Finn Benjamib A. This impressive volume showcases the finest golf resorts around the globe. 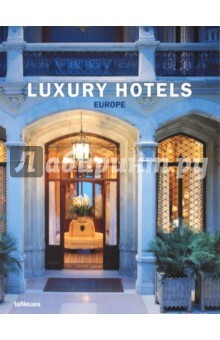 All these hotels enjoy a unity of style that ties together interiors and exteriors. All corners of the earth and every type of setting are represented. This outstanding collection shows fine architecture and interiors set amidst lush, manicured greens and fairways. The book features golf resorts from Scotland where the game was invented, as well as from France, Italy, Spain, Portugal, Northern Europe, Africa, Asia and the Americas. Each resort is remarkable in its own right and will certainly please the avid golfer. But with their top-notch standards and settings, they are a delight for the non-golfer as well! Text in English, German, French, Spanish and Italian.